“Comlement of necessaries, etc., for the soldier. 1 coat, 1 waistcoat, 1 pair of cloth breeches, and another of ticking, 1 hat and cockade, 3 shirts, 2 white stocks and 1 black, .... 1 forage cap, a ball of pipeclay....” Simes, Military Instructor for Non-Commissioned Officers. 1778. 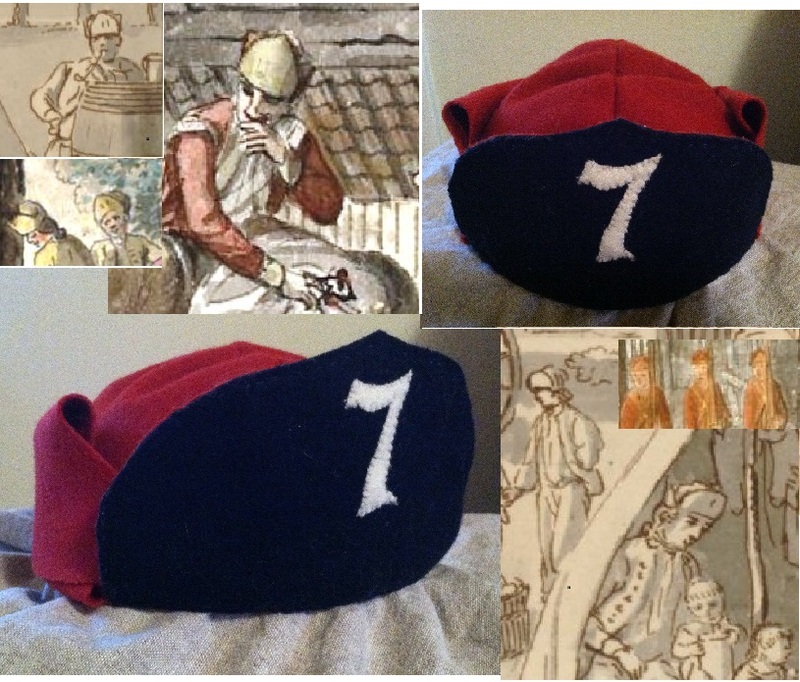 Evidence suggests that fatigue or forage caps were often either produced from old, worn out coats, or were purchased by colonel's for their men. These comfortable caps were worn as an alternative to the felt hat. It preserved the other hat and also offered the soldier some added protection. The flaps could be lowered to protect the neck and ears, and the visor could be lowered to shade the eyes from the sun.